Self-contained ground floor gîte (66 sq.m.) in converted farm buildings in village. Fitted kitchen (fridge-freezer), lounge, 2 bedrooms (double bed) (2 single beds), bathroom, separate WC. Oil-fired heating (no extra charge). Mobile phone (card-operated) on request. Garden (440 sq.m.). Pet allowed (surcharge: 5€/day + extra charge for cleaning). 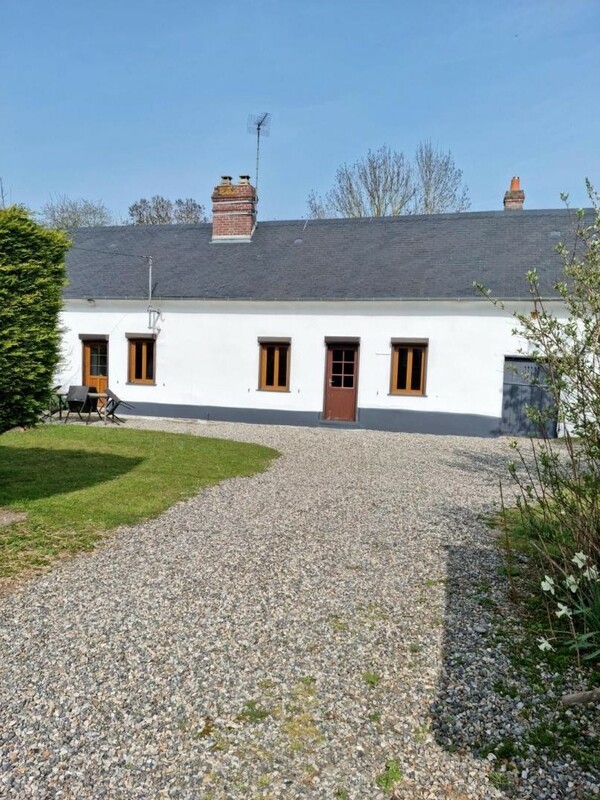 Nearby: Baie de Somme, Maison de La Baie de Somme (visitor centre), tourist train, château of Rambures, hiking, mountain biking, horse/pony trekking.